While Congress debated over the recently passed free trade agreement, neither side acknowledged that a contract with Panama will not only fail to provide a level playing field for U.S. businesses to fairly compete, but will also force U.S. businesspeople to become mired in dealings with a corrupt government, undercutting prospects for legitimate bilateral transactions. Martinelli’s apparent reaches for illegitimate power have led the executive branch to profoundly undermine the legislature, leading to an increasingly presidentialist system of government. A number of recent high-profile cases and statements made by experts confirm the near-normalization of corruption in the Panamanian judiciary. Transparency provisions in the free trade agreement are not sufficiently ironclad for a country in which corruption is “cultural,” a soft term for endemically tainted governance. On October 12, 2011, the United States Congress passed free trade agreements with Panama, Colombia, and South Korea. The Obama administration hailed the agreements for their supposed ability to create U.S. jobs and expand exports. The president lauded the passage of the agreements, calling them a “major win for American workers and businesses.” On the other hand, liberal democrats and labor rights groups have decried the agreements, claiming that they will result in both the loss of U.S. jobs and poor labor conditions and environmental standards abroad. Neither side, however, was prepared to acknowledge that an agreement with a country with such questionable ethics and values as Panama would not only fail to provide a level playing field for U.S. businesses, but would try to persuade the U.S., its citizens, and its businesses to become mired in dealings with a corrupt government. After the agreement with Panama was passed, President Martinelli spoke of “fortifying a great and historic friendship between Americans and Panamanians.” Contributing familiar political hyperbole, he diverted attention from the crucial issue of corruption in Panama. While proponents believe that the free trade agreement will increase transparency, no provisions in the agreement could be expected to have a long-term effect on the prevalent patterns of corruption that have sullied all three branches of the Panamanian government. According to former U.S. Ambassador to Panama Barbara Stephenson, Panamanian President Ricardo “Martinelli’s [2009-present] power over the… nominally independent [branches of government]… is based on the preponderant power the Presidency has in the Panamanian political system, his expansive view of his authority, and his powerful personality[…]. This extreme concentration of power in the hands of one man… [is] cause for concern over the stability of Panama’s democratic institutions in the medium term.” While the conclusions of any diplomat must not be taken as accurate and impartial, in this case, Stephenson’s analysis seems powerfully on the mark. Previous articles by the Council on Hemispheric Affairs (COHA) and Panamanian journalist Eric Jackson of The Panama News have detailed Martinelli’s attempts to control the Attorney General’s office, his backpedaling after the passage of widely unpopular regressive labor and environmental laws, as well as the public disclosure of his alleged involvement with a Colombian racketeer. In this respect, however, there have been two important developments. The first involves Martinelli’s attempts to wiretap his political opponents using U.S. Drug Enforcement Agency (DEA) technology, and the second involves his attempts to increase his political power through a dubious electoral reform bill. These events demonstrate both Martinelli’s readiness to engage in corrupt practices and his apparent yearning to skew the balance of power in the government toward his favor, all of which suggests that Panama will prove to be a poor candidate for impartially administering a free trade agreement. Recently released WikiLeaks cables have revealed that Martinelli applied “intense pressure” on the U.S. Embassy in Panama City to use the wiretapping capacities of the DEA against his political enemies. According to the leaked cables, Martinelli’s requests “made no distinction between legitimate security targets and political enemies.” The Panamanian president responded to the U.S. agency’s refusal to acquiesce to this pressure with a series of unseemly, escalating attacks on the DEA, culminating in a threat to expel the agency from his country. Perhaps even more disturbing, however, have been Martinelli’s attempts to exert control over the country’s legislative branch and to increase his party’s power through electoral reform, threats, and payoffs. These maneuvers have all but killed any prospects of creating a level playing field for the exercise of a free trade agreement. Today, there is clearly an imbalance of power among the branches of the Panamanian government, as U.S. Ambassador Stephenson has observed; in particular, the executive branch has exerted strong control over the National Assembly, Panama’s legislature. During the tenure of José Muñoz, a former Assembly chairperson and a member of Martinelli’s Democratic Change party (Cambio Democrático – CD), 79.49 percent of the bills approved by the Assembly have come from the executive branch and 17.9 percent from the legislature itself. Under the previous chair, 60 percent of the approved bills were written by the executive and 28 percent by the legislative branch. This change has put the Assembly in the position of merely accepting (or occasionally rejecting) legislation suggested by Martinelli, rather than using its constitutional power to introduce new bills and profoundly affect the Panamanian polity. Other WikiLeaks cables provide corroborating evidence. According to these sources, in conversations with U.S. officials, even legislative members of the political alliance that elected Martinelli “highlighted the constitutional weakness of the [l]egislative [b]ranch compared with the [e]xecutive,” stating that “the Assembly is too weak to oppose Martinelli. Muñoz indicated he did not like the names circulating for the Supreme Court nominees, but noted that there was nothing he could do to stop them,” going on to state that “it would be very dangerous to Panamanian democracy for Martinelli to find himself without a strong opposition.” With his latest political maneuvering around the theme of electoral reforms, bribery, and threats, however, it appears that Martinelli might be finding himself in that very position. The President was elected in 2009 by an alliance of several parties in his race against the candidacy of the then-powerful Democratic Revolutionary Party (Partido Revolucionario Democrático – PRD). This Alliance for Change (Alianza por el Cambio) represented a coalition between the Panameñista Party (Partido Panameñista – PP) of Vice President Juan Carlos Varela, Martinelli’s CD party, and other small parties. The alliance was formally ruptured on August 30, 2011 when Martinelli fired Vice President Varela from his other post as foreign minister. A series of high-level PP government officials subsequently resigned in solidarity with Varela. Moreover, out of 10,000 Panameñista government workers, at least 4,000 have been laid off in the two years since Martinelli was elected, pointing to likely political motivations for their dismissals. Other tensions, however, had led up to Varela’s firing; namely, the PP’s outspoken opposition to the questionable electoral reforms that Martinelli had proposed. According to journalist Eric Jackson, the sweeping package of reforms was initiated by the Electoral Tribunal (Tribunal Electoral – TE), who “held more than a year’s worth of hearings with broad public participation and input, and had some ideas of their own, which they formally submitted to the National Assembly. Then the president’s lackeys rejected most of that and submitted other [reforms].” These proposals included a new electoral system culminating in a runoff round; the final package also included several initiatives strengthening the TE and allegedly increasing the transparency of campaign finance statistics, which the Assembly suddenly decided to eliminate. Eric Jackson asserts that Martinelli “opposes most of the changes that the [TE] proposed.” The second electoral round, though, would have the potential to drastically alter Panama’s electoral process, perhaps making it significantly less democratic where Martinelli’s CD party is involved. Currently, as in the case of the U.S., a Panamanian president can be elected by a simple plurality. With the new reform, if voters failed to choose one candidate with an absolute majority (at least fifty percent plus one vote), a second round of voting would take place between the top two candidates. Martinelli claims that an absolute majority is more democratic than a plurality. Political analysts from various media outlets such as The Economist and Foreign Policy, however, contend that the reform package was a calculated move to allow Martinelli’s then-small CD party to win without the difficult task of obtaining the backing of other parties. If passed, it may present him with the opportunity to strengthen the CD against the PP and other opposition parties without having to worry about his own party automatically losing an election in 2014 due to its relatively small rank-and-file membership. While superficially innocuous, this series of reforms prevents a classic study of the executive branch’s growing control over the legislative under Martinelli’s hegemony. According to University of Panama law professor Miguel Antonio Bernal, this reform may in fact be unconstitutional, as it is effectively changing the constitution through an ordinary law rather going through the formal amendment process. Furthermore, President Martinelli allegedly had threatened PP Assembly members, or deputies (diputados), some of whom began to switch membership from the PP and other parties to Martinelli’s own CD party shortly before Varela’s firing. One opportunist PP member, Luis Lay, claimed that he defected because this would be the best way to ensure support for community projects for his constituency. Another, Manuel Cohen, simply said that he did not want to be in the opposition camp. Meanwhile, Vice President Varela has also accused Martinelli of using public funds as bribes to members for switching parties. With Cohen’s defection, the CD has been transformed from a relatively small party to one possessing an absolute majority in the Assembly. By now, eighteen out of seventy-one members have switched to the CD in the past two years, with numerous defections having taken place in the past two months. The high volume of “turncoating” in the face of a potential change in the voting system suggests that executive power is now in the process of overwhelming the authority of the other branches of the Panamanian government. Martinelli’s electoral reforms have proven very unpopular; according to a poll taken by the Panamanian daily, La Estrella, and television channel TVN-2, Martinelli’s popularity fell from 66.9 percent in August to 46.4 percent in September. Even more significantly, 79.5 percent of the population is against the runoff voting system proposed in the reforms. These polls seem to indicate that Martinelli would have a very difficult time winning either a referendum or reelection. According to Eric Jackson, a Unimer poll taken on August 24, 2011 found that “87.2 percent of those voters surveyed think that party-switching is harmful to Panamanian democracy and 84.5 percent said that they would not be disposed to vote for such a person in the next elections,” signifying that the electorate is unhappy with both Martinelli and his turncoats. After his approval ratings were published, Martinelli promptly halted the final Assembly vote on his reform package and called for a constitutional referendum. Professor Bernal, however, has reminded us that any constitutional amendment must be approved twice by the Assembly before it is put to a referendum, making Martinelli’s proposal for an immediate referendum violative of the constitution. Martinelli also suggested that the reforms be implemented in the 2019 elections so that any conflicts of interest about his party’s involvement in the 2014 elections could be discounted. While the President’s swift call for a referendum in response to the public’s negative sentiment may seem heartening to some, it echoes his pattern of backpedaling on other unpopular laws once his approval ratings have begun to fall. This tendency, taken in conjunction with his growing control over the legislative branch, accusations that he was intent on wiretapping his opponents, and his apparently unconstitutional attempts to reform the electoral system, presents a clear record. These patterns point to two issues: fundamental problems within Martinelli’s presidency in particular, and the easily manipulatable pseudo-balance-of-power-arrangement within the Panamanian system in general. Neither Martinelli nor the Panamanian state will provide the possibility of a stable environment or equal opportunities for trade. 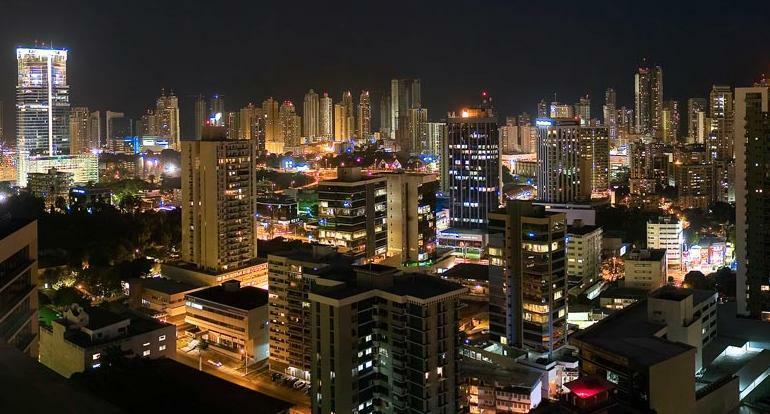 The judicial branch of Panama’s government also has been facing ongoing charges of corruption, degrading any potential reputation the government could earn as providing a level playing field. According to a 2009 report by the State Department, “Panama lags behind in the [World Bank’s] Rule of Law index and there is evidence of corruption in all levels of the judicial system.” The 2010 and 2011 reports are nearly indistinguishable in this regard. Despite this, these annual reports repeatedly promote trade and investment, making U.S. policy on the subject astonishing as well as crystal clear. This well established anatomy of corruption should in every way hector the U.S. sphere of business in Panama. For those unfamiliar with the Panamanian judiciary, a brief explanation may be in order. The courts and the judicial system at large use a civil code rather than a common law system based on judicial precedent. According to the Organization of American States (OAS), the court system’s hierarchy is largely comparable with its U.S. counterpart, in that it involves trial and arbitration courts at its lowest level, followed by courts of review as well as designated appellate chambers, and finally a Supreme Court. Magistrates who hold seats on the highest court are appointed by the Council of Ministers, and are subject to the approval of the president. Nine magistrates and nine alternates make up the chamber, and each serve for up to ten years. Instances regarding corruption in the judiciary itself have been occurring most notably at the highest levels in the court system. WikiLeaks cables recently obtained from the U.S. Embassy in Panama demonstrate that corruption originating in the Supreme Court has been an ongoing issue of grave concern for U.S. officials. Another case that highlights the inherently corrupt nature of the Panamanian judiciary is the ongoing Wilson Lucom estate dispute, analyzed by COHA Research Associate Natalie Simpson in August 2011. Richard Lehman, the highly regarded Florida tax attorney representing the Lucom estate, has been attempting, at the greatest of odds, to execute the will of Mr. Lucom, the late millionaire, by leaving the bulk of his estate to children’s charities in Panama. The stakes are high and climbing higher still; Lehman’s complaint under the Racketeer Influenced and Corrupt Organizations Act (RICO) alone seeks damages in excess of USD 732 million. Since Mr. Lucom’s death, his estate has appreciated in value by USD 100 to USD 150 million. The gross lack of transparency in Panama’s judicial system has made any detached analysis of the dispute much more challenging. Many aspects of the case are overtly dubious, such as the Panamanian Supreme Court’s decision to nullify the will’s stipulation to leave the vast property to charity. Completely disregarding the instructions of the will, the court pointed to wording that referred to Mr. Lucom’s wife as his “beloved,” and therefore installed Hilda Lucom as “universal heir” to the estate due to their privileged relationship. This decision has been fiercely contested and is now undergoing review. The Lucom case is another example that demonstrates the palpable corruption within the Panamanian judicial system. This unfortunate circumstance illustrates that this government is not working effectively enough toward creating a well-organized society from which law-abiding citizens could hope to benefit. A number of U.S. business lobbies expressed their continuing support for the Trade Promotion Agreement between the U.S. and Panama throughout the negotiating process. Many of them have represented the snack and fast food industries, but others have also promoted technology and extended intellectual property rights. The primary movers behind these pressure groups seem to feel that there are significant profits to be made with this market expansion. They appear to want to conduct trade in Panama, irrespective of its overreaching executive branch and controversial president, dependent legislature, and paid-for judiciary. To read more about Panama, click here.